You wanted new materials…you got them! After reading through feedback we received from many of our volunteers, we saw there was overwhelming support to update our Teacher Training materials. The changes have been focussed on creating more interactive sessions to increase group participation and decrease the time our trainers spent talking ‘at’ teachers. What are the new sessions? Good things, all good things. You will still have an arsenal of slides, activities, session outlines and further links. The slides should be self explanatory but we will be releasing screencasts of all three presentations in the near future as well. 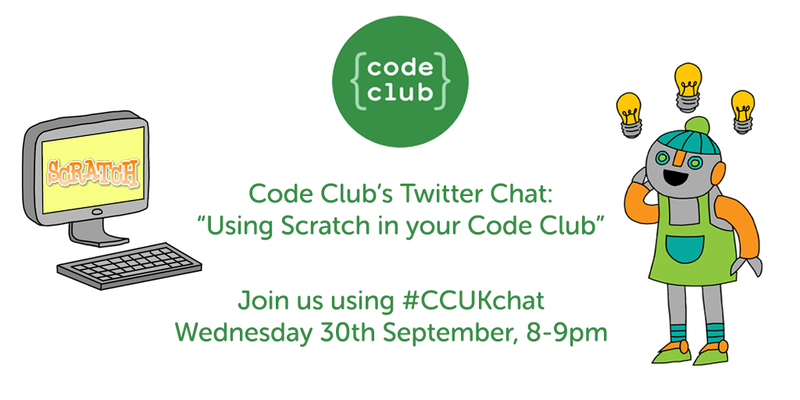 We will schedule in webinars soon too, but until then if you have any questions, comments or queries please contact trainer@codeclubpro.org. Sessions will now be free at the point of access for teachers! Teachers can register for training through our website and we will set up the session from there. We will run sessions as and when we secure funding, so it is worth noting that schools may not get immediate access to a free session. As a not-for-profit, we rely on financial support to run our teacher training programme – and we hope this new approach will offer more opportunities to reach more teachers and children across the UK. When can I see the new materials? If you’re one of our trainers, you can view them right now! Simply log in to https://www.codeclubpro.org/trainers/sign_in and see them for yourself. The old materials will still be available for the next few months. Yesterday we were excited to be in Cardiff for the opening of the Samsung Code Club Regional Hub at its new home at the the city’s Central Library. The Hub will serve as a great new community space, giving children and adults in Cardiff access to a range of digital training opportunities. Deputy Minister of Culture, Sport and Tourism, Ken Skates, was with us to officially open the new hub, and he was joined by pupils from Tredegarville Primary School, who were busy impressing the Deputy Minister with their coding skills. As the launch also took place during National Coding Week, we were really pleased to have the co-founder of the initiative, Richard Rolfe, join us via Skype to celebrate the official official opening. We also heard speeches from Cabinet Member for Community Development, Co-operatives and Social Enterprise, Peter Bradbury, as well as Chief Executive of the Workers’ Educational Association, Mark Isherwood. We’re looking forward to see the Central Library start its own Code Club, which will be run weekly using laptops provided by Samsung for local children from across Cardiff. The library will also host four training sessions and meet-up events a year for adults, and we hope this can encourage more clubs to be set up to offer children across Wales the chance to attend a Code Club in their local community.